As immersive arcade experiences go, Operation Wolf was top of the tree in 1988. It delivered intense light gun action with detailed and characterful visuals. The physical recoil of its Uzi-styled controller was a signature of the experience, while its notable inclusion of a storyline was the hook that kept you shooting enemy militias across airports and jungles until your dad ran out of 10p pieces. 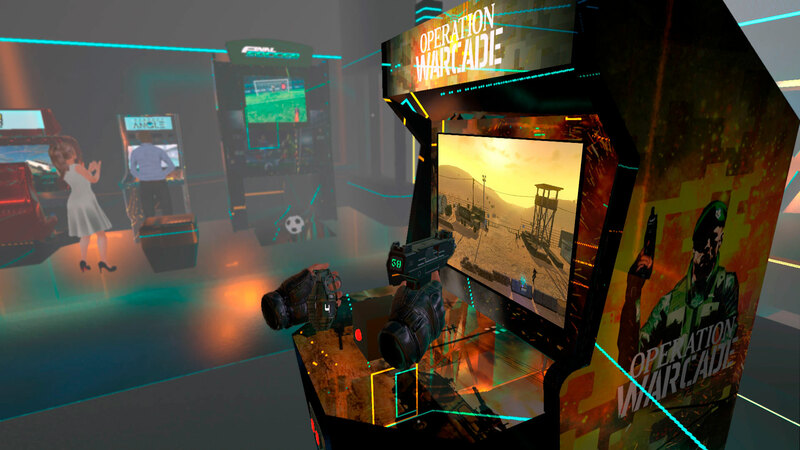 30 years later, Operation Warcade openly aspires to replicate the experience in VR. It’s a logical and welcome proposition; if anything is going to improve on that immersion we felt years ago, it should be virtual reality, putting you right in the middle of the action. But by adding something, Ivanovich Games have also taken something away, making Operation Warcade feel lesser than its forebear. Our introduction to the game places us in a literal arcade with coin-ops and customers on all sides. In the centre, a single machine stands waiting for us. At once this sets a strange tone. 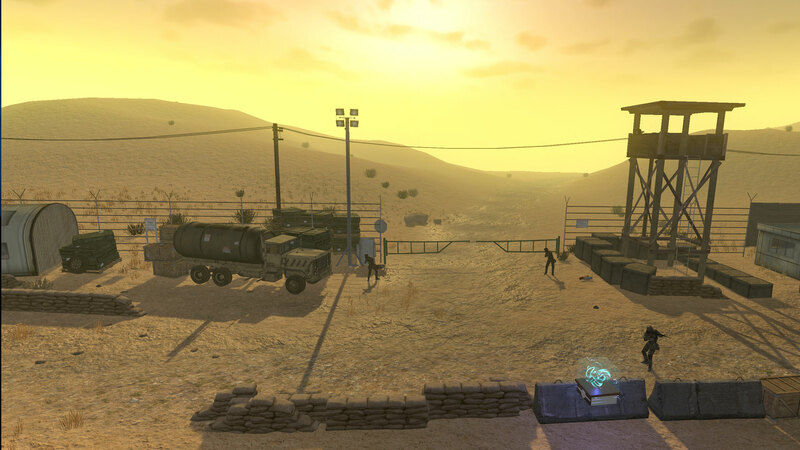 Are we going to relive the experience of Operation Wolf, or are we going to relive the experience of where we were when we played Operation Wolf? It’s a level of meta that distracts from why I wanted to play this in the first place. Upon starting the game itself, this feeling of separation remains. The experience is now rendered in 3D rather than the detailed pixel art of the past, though Warcade still mimics the side-scrolling nature of the original game. Weirdly, this concession to immersion in 3D space is all framed within the arcade machine’s screen which you can literally lean in and out of; being inside the action is surely the whole point of this project, but the illusion is utterly shattered by this insistence on reminding you that it’s all a game. More disappointing is how much of a sacrifice has been made to the visual detail in this world to accommodate the new 3D space. 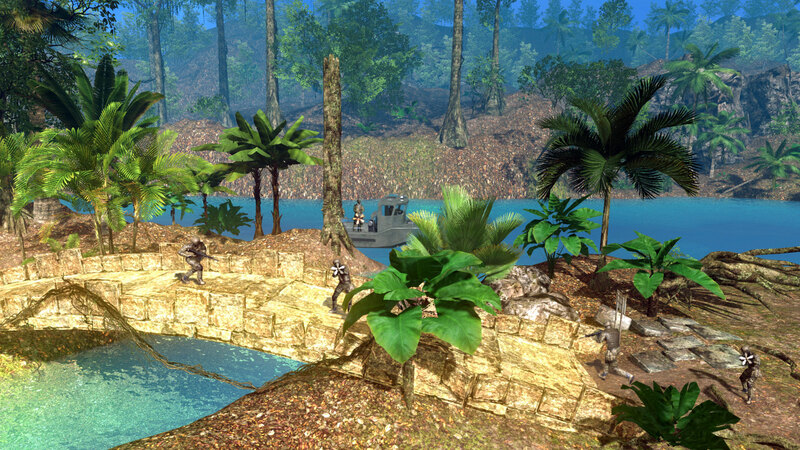 Gone are the visually rich, recognisable enemies of Operation Wolf. Instead we have faceless and indistinct figures that appear from left and right in a shallow plain. They are as weightless in motion as they are in design, meeting your automatic gunfire by falling like leaves in rain. Some of that weightlessness can be blamed on the lack of that recoiling arcade gun, but only some. Warcade actually constitutes a pretty good offer of control options. The ability to use PSVR’s companion Aim controller is undeniably the correct way to play, though there’s support for DualShock 4 and Move controllers as well. That said, even playing with the Aim underwhelms. The tactility of using the Aim is undermined by that damned arcade cabinet getting in the way. The Aim’s coolest feature of seeing your gun move in VR is lost, traded away for the arcade machine’s rigidly fixed Uzi. Operation Warcade was provided to us by PlayStation/Perp Games via a download code for PlayStation VR (played on PlayStation 4 Pro). 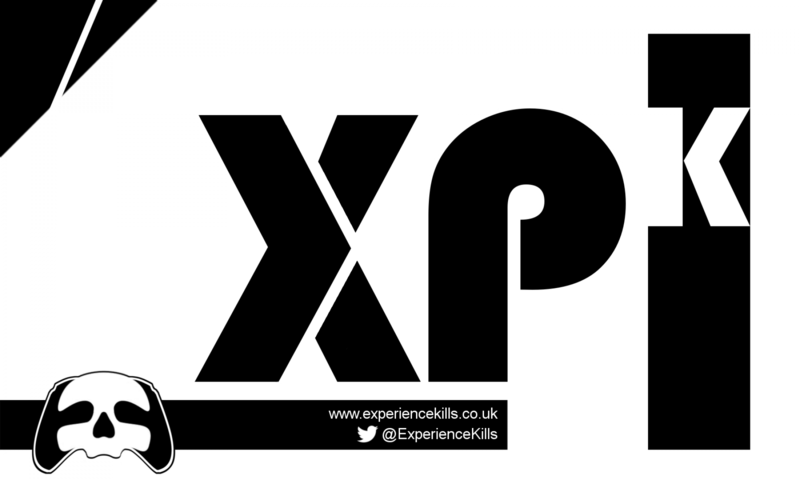 For more on Operation Warcade make sure you tune in to BXB’s Bits and Bobs; our regular podcast available on iTunes.